FlexChem is a wet bench bulk delivery system designed for incremental expansion to accommodate a production line’s changing needs. This flexible system eliminates manual chemical pours, the hassles associated with bottles, and provides all the benefits of a drum system. It is designed for chemical containment room applications. 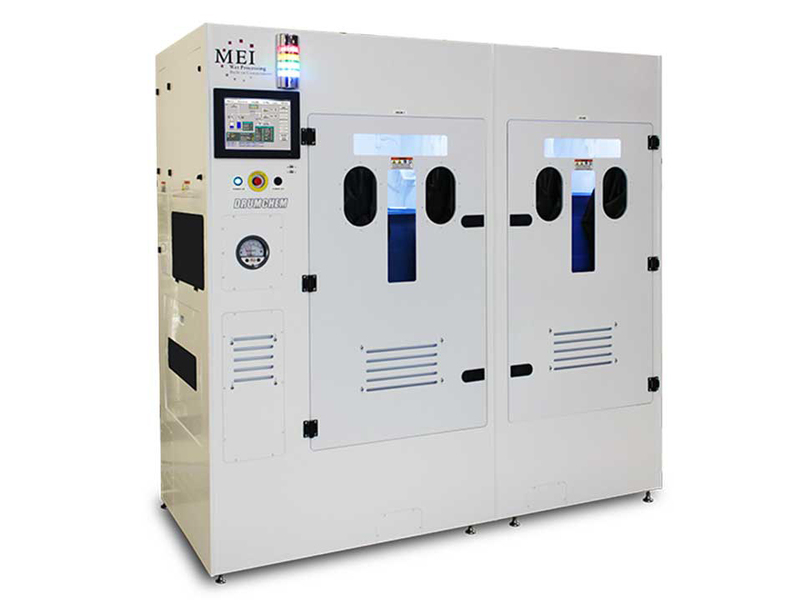 MEI’s tailored FlexChem system will have the features you need today in a package that can be easily upgraded for future chemical delivery needs. MEI ‘s MultiChem systems provide a low cost alternative to the facility room 55 gallon drum system for wet processing systems. 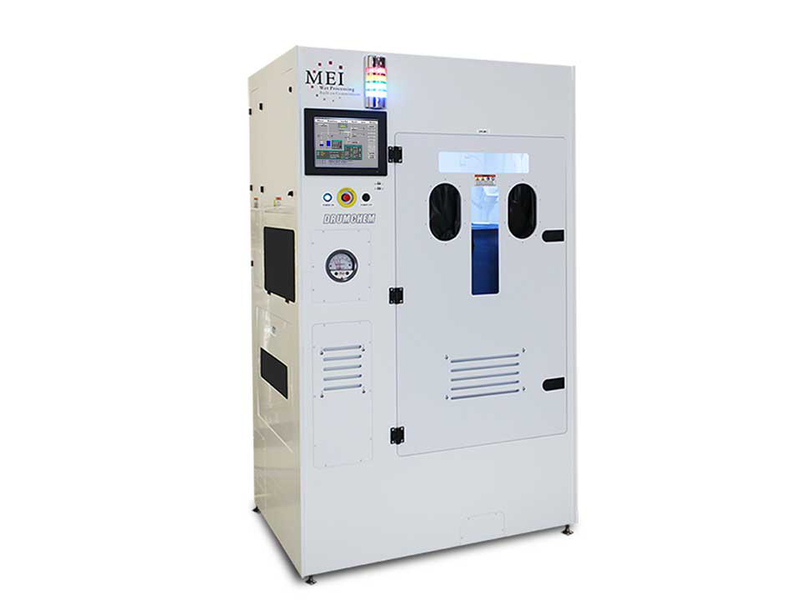 MultiChem systems provide pumped chemical delivery capability for smaller wet bench systems with localized needs, while providing recapture (reclaim) capability via use of 5 gallon chemical carboys. A self-contained bulk delivery system featuring modular, drum chemical delivery and recapture with on-demand controls. Multiple DrumChem systems can operate from a single remote kiosk or individually as a standalone system utilizing a dedicated controller. An integral 5-gallon reserve/day tank provides continuous chemical delivery during drum changes.